Royal Enfield has updated the Bullet 350 and Bullet 350 ES with the safety net of ABS. However, unlike the rest of the Royal Enfield motorcycles, the Bullet 350 and the Bullet 350 ES have received a single-channel ABS. This has resulted in a relatively lower amount of price increase than in case of rest of the line-up, though. Royal Enfield has launched the Bullet 350 ABS and Bullet 350 ES ABS. Unlike rest of the Royal Enfield motorcycles, the Bullet 350 and Bullet 350 ES have received a single-channel ABS to keep the price increase minimal. The ABS-equipped Bullet 350 has been priced at INR 1.21 lakh* while the Bullet 350 ES can be purchased for INR 1.35 lakh*. In comparison, the non-ABS Bullet 350 and Bullet 350 ES were priced at INR 1,17,660* and at INR 1,33,964* respectively. The dual-channel ABS equipped Royal Enfield motorcycles have witnessed a price increase in the range of INR 12,000-14,000. A lift-off protection system to avoid the rear wheel from lifting under hard braking accompanies the safety net of single-channel ABS. A similar system is also seen on products from Bajaj Auto, KTM and TVS Motors. 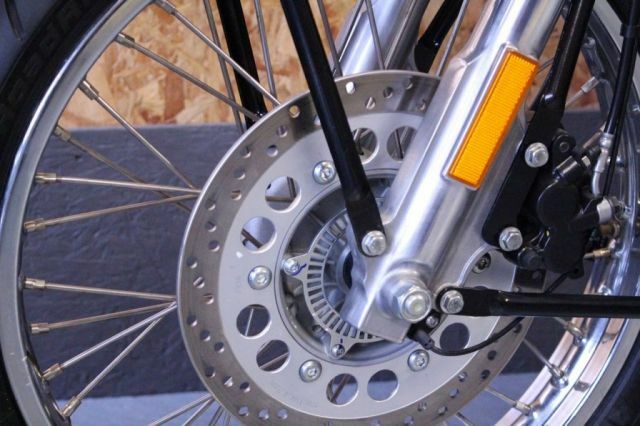 The speed sensor at the rear wheel modulates the ABS tech for efficient stopping power. Apart from the addition of single-channel ABS, the Bullet 350 and Bullet 350 ES continue to feature the same engine specification and hardware. They are powered by the 346 cc, single-cylinder engine that is employed in the entire Royal Enfield 350 range. The carburetted motor generates 19.8 bhp of power at 5,250 rpm and 28 Nm of peak torque at 4,000 rpm. A 5-speed gearbox transfers the power to the wheel via a chain drive. The engine would receive a significant upgrade in 2020 when the new emission norms come into effect. 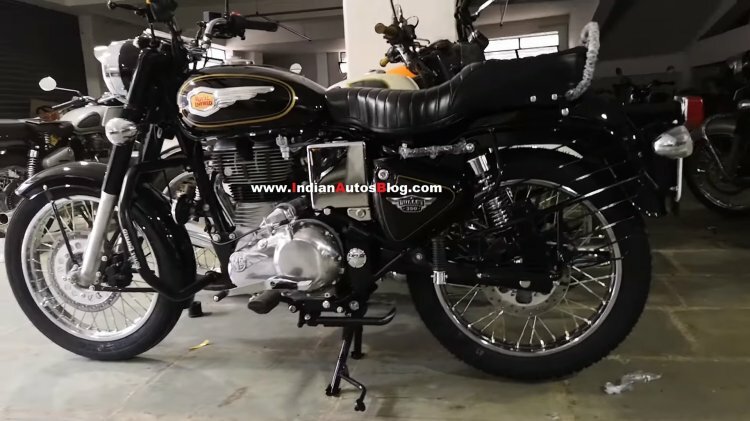 Royal Enfield is already testing its next-generation models, and test mules of the BS-VI compliant Classic and Thunderbird bikes have been spotted in the country. The next-generation motorcycles would be based on new architecture. As reported in August, Royal Enfield’s product plans over the next five years would revolve around four architectures – J, P, Q and K.
The front brakes of the Royal Enfield Bullet 350 and Bullet 350 ES feature ABS while the rear gets a speed sensor that works with the safety tech and stops the back wheel from lifting under hard braking. The next-generation Classic, Thunderbird, Bullet and Himalayan would be underpinned by the new 'J' architecture, while the higher displacement models would utilise P, Q and K platforms.